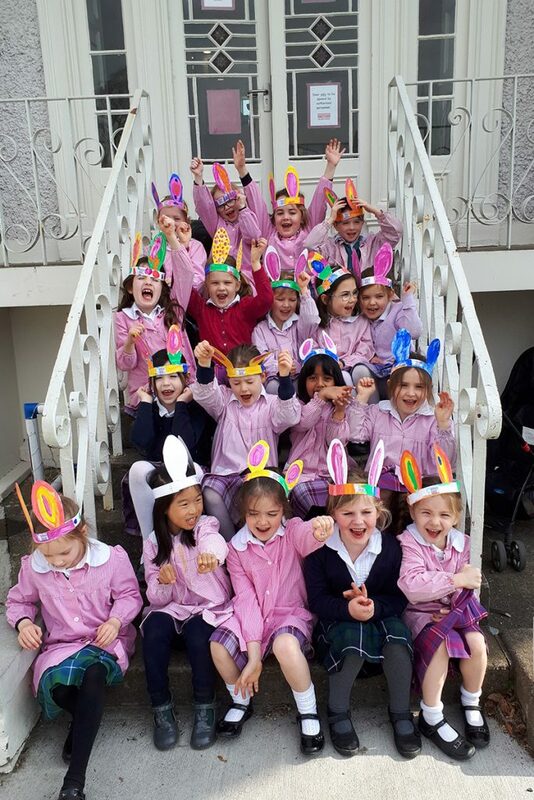 Bunny Hop in aid of The Downs Syndrome Centre – April 11th. 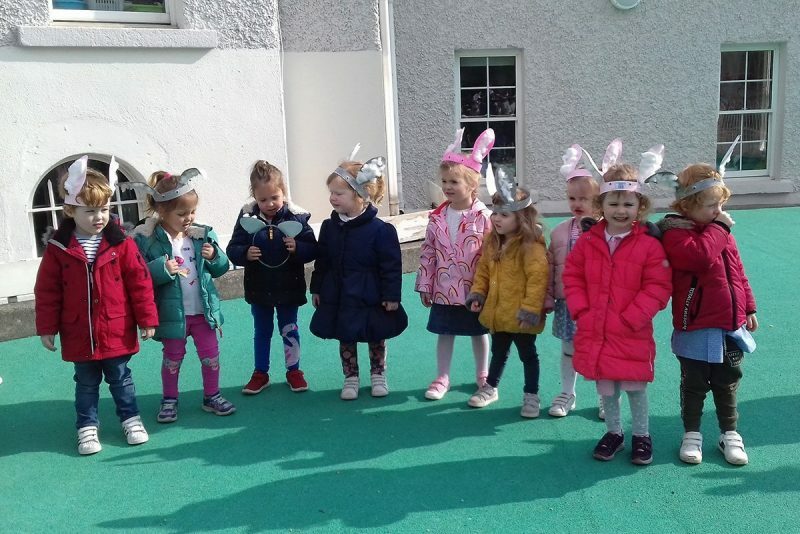 What a wonderful day as the playground filled up with bunnies from Pre-School 1 – Class 2. Our inaugural event began with an exciting Egg and Spoon Obstacle course. Ooohs and aaahs as eggs dropped but plenty of giggles!! 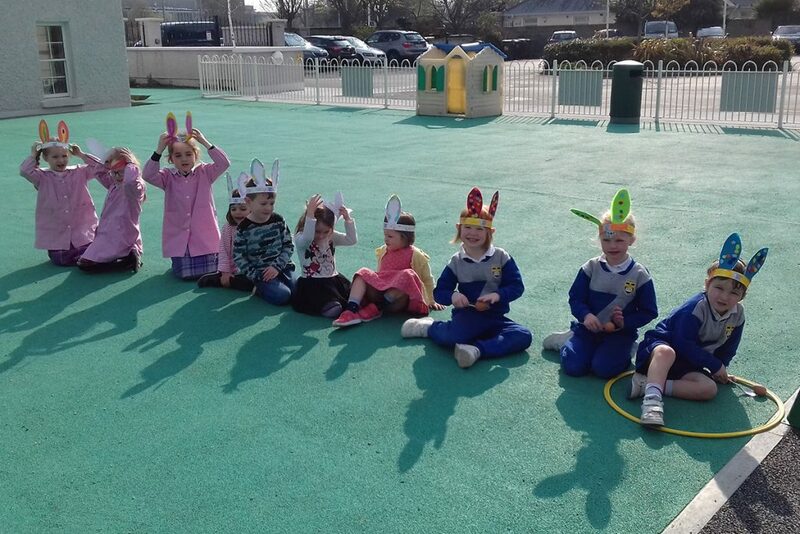 Classes then came together on the green to sing their Bunny song and perform the Chicken Dance which was a great hit and great fun. 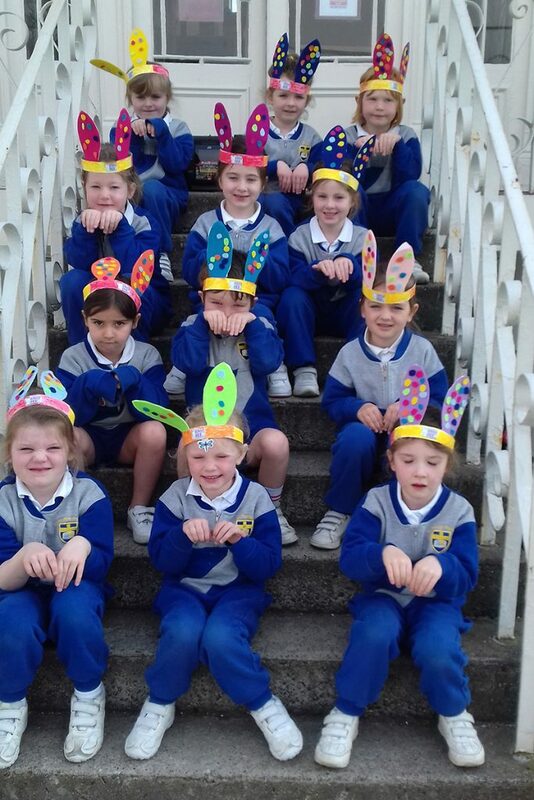 Finally, the day finished off with an Easter Egg Hunt and happy tired bunnies made their way home. 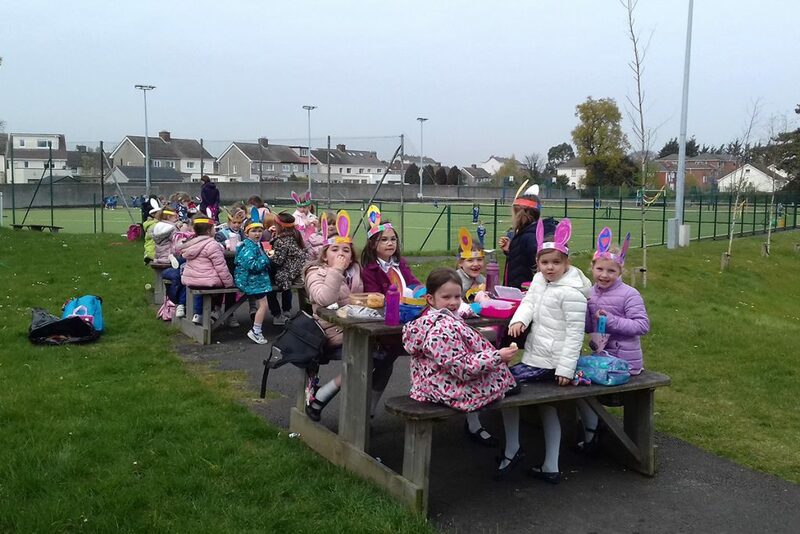 We are very proud of €320 raised in aid of this great charity. Thank you to everyone who donated and to everyone involved!